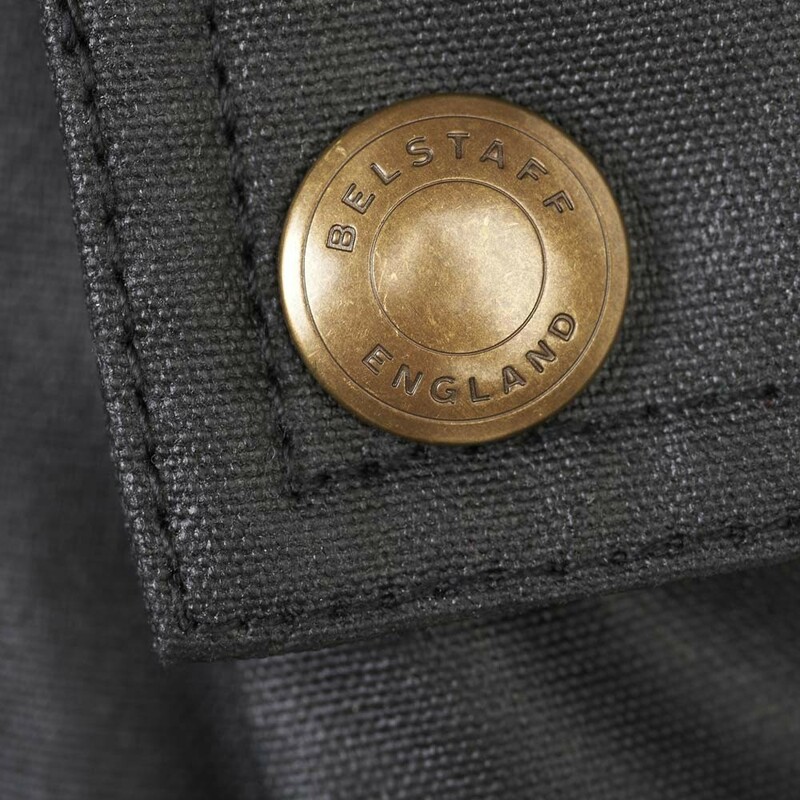 The word 'iconic' gets thrown around a lot, but the Belstaff Trialmaster range has truly earnt this accolade. 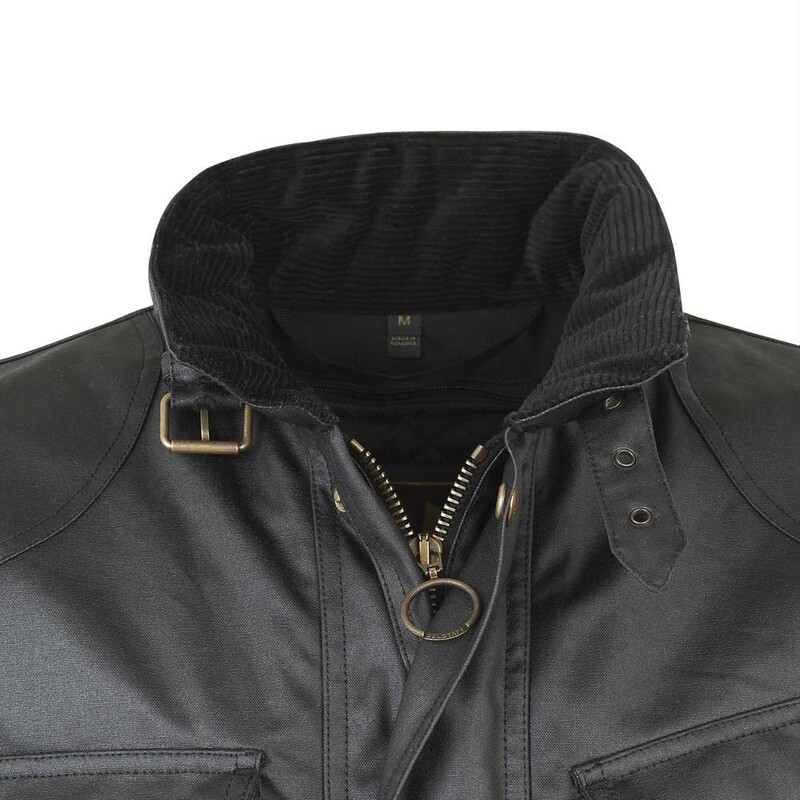 The Tourist Trophy motorcycle jacket is the modern iteration of the original Belstaff waterproof, first introduced in 1948. 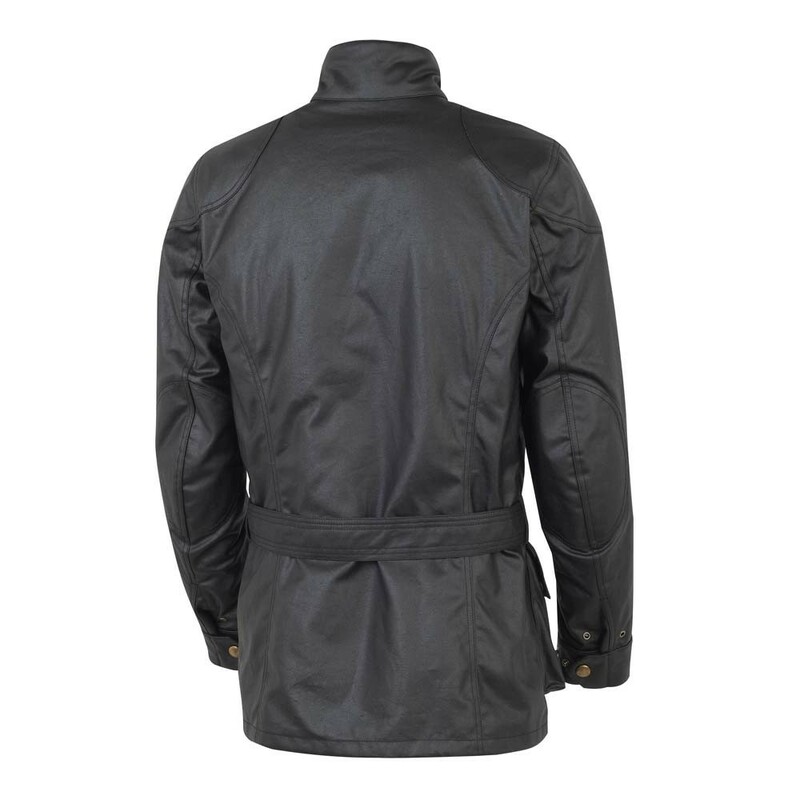 Built from rugged 10oz wax cotton, with reinforcements at the elbow and shoulder and D3O armour, this jacket will handle anything you or the road can throw at it. A full, tape-seamed, waterproof membrane and the removable quilted liner keep you comfortable in all conditions, while the classic four-pocket silhouette ensure that you turn heads for all the right reasons. This riding jacket is a capable touring option, ideal for year-round commuting, and beautifully styled to boot. 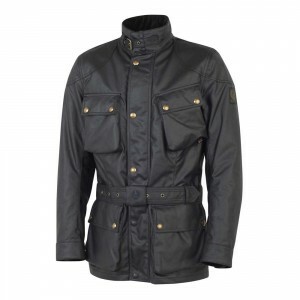 I had been looking for a Belstaff Trailmaster jacket for a number of years. However, could not justify buy one at full retail price. Having found this jacket online by Cafe Racer, who had it on discount and took off applicable taxes, it was a deal too good to miss. In terms of the jacket, it is made of heavier canvas than their standard jackets, but it still feels like when riding. The added D3 protection offered really adds value for money. 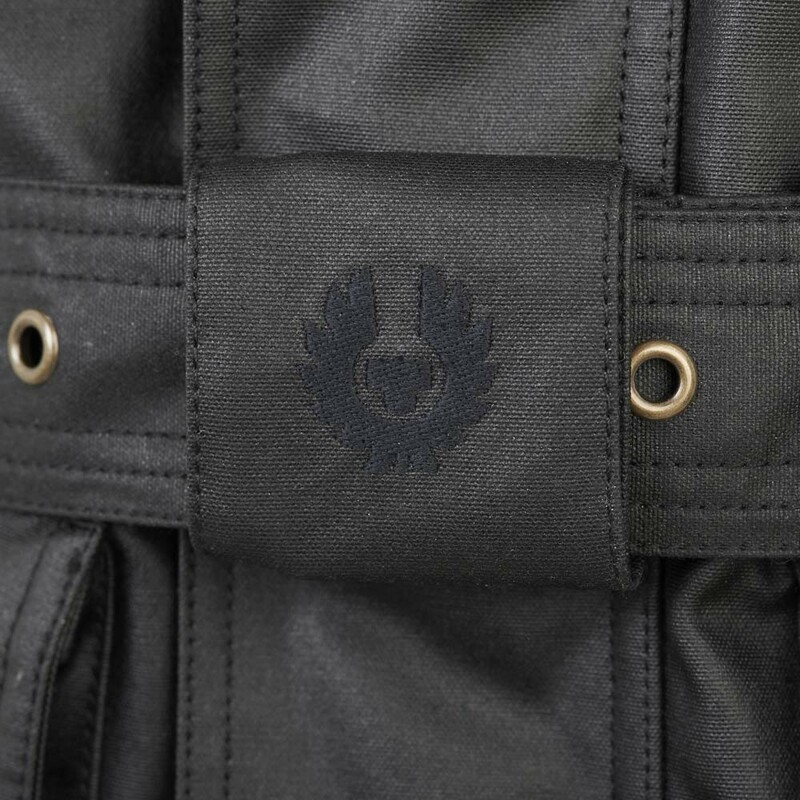 All the pockets and stitching are incredibly well made. The zip has a touch more to be desired but definitely not a point which would sway me from deciding to buy it. Due to the heavier canvas, it is very weather resistant and gives great comfort and protection on and off the bike. Even with the heavier canvas than the original/standard jacket, due to the removable jillet/lining on the inside, it should still be a really breathable summer jacket. 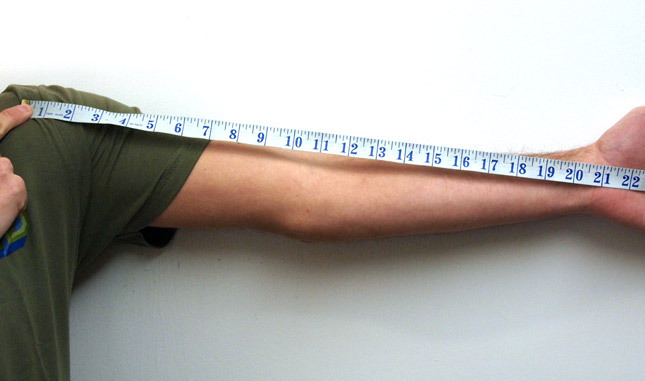 Yes, the elbow and shoulder armour are easily removed from their pockets in the sleeves. 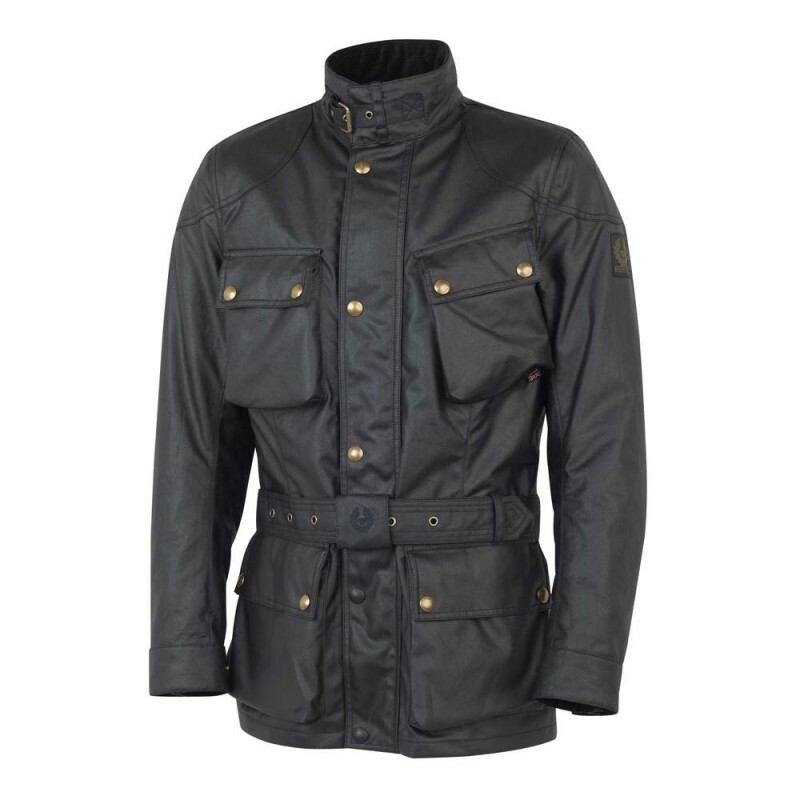 I had been looking for a Belstaff Trailmaster jacket for a number of years. However, could not justify buy one at full retail price. Having found this jacket online by Cafe Racer, who had it on discount and took off applicable taxes, it was a deal too good to miss. In terms of the jacket, it is made of heavier canvas than their standard jackets, but it still feels like when riding. The added D3 protection offered really adds value for money. 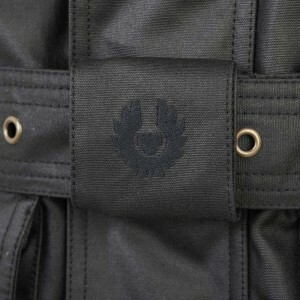 All the pockets and stitching are incredibly well made. The zip has a touch more to be desired but definitely not a point which would sway me from deciding to buy it. Due to the heavier canvas, it is very weather resistant and gives great comfort and protection on and off the bike. Even with the heavier canvas than the original/standard jacket, due to the removable jillet/lining on the inside, it should still be a really breathable summer jacket. Would definitely buy again. What a lovely jacket, looks amazing if I do say so myself and feels great, really nice fit (if a little slim) held me in and still felt easy enough to move in. Neck space can allow for a fab scarf or face mask with plenty of movement for cold evening rides .. Removable lining is easy and the cuffs fit over my winter gloves just fine with the inner band still keeping in the heat. The zip at the bottom can be a pain as sometimes this can ride up slightly but love the 2 rubber buttons at the bottom so they don't scratch the tank. Expensive ? yes a little but worth the investment for sure, this is a lifer jacket unless you put on weight and need another one but hey that's different story.. Benchmark classic bike jacket. Heavy, bombproof, beautifully made, coat for life. Some may say this is expensive, but it's the last coat you'll ever buy. Compelled to write a review and recommend this jacket. Spoke to guys at The Cafe Racer on the phone to check availability and also ask about sizing. Informed that this jackets runs slightly small and is quite trim in it's fit so ended ordering a 2XL rather than the XL I thought I would be - perfect fit and really high quality garment. I wasn't aware but it has storm cuffs which really make a positive difference on cold and windy days (not that I ride in too much cold and wind). The collar is really comfortable and has a soft lining and the whole jacket feels robust and protective. One happy customer, thank you. Got this within 24hrs and went straight down to our local Motorcycle meet on the Saturday, think you may get some more customers - love it. thanks The Cafe Racer. Good advice guys. Thought I'd be a large, but XL is the one for me as it is quite slim. Got some great comments on my Sunday ride. It goes everywhere with me and my W650 now. I have to admit to being a little aprehensive spending this much money on-line but your website looks top quality and a quick phone call gave me the reassurance I needed. 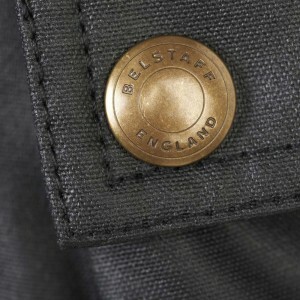 I'm truly delighted with the Belstaff Jacket. 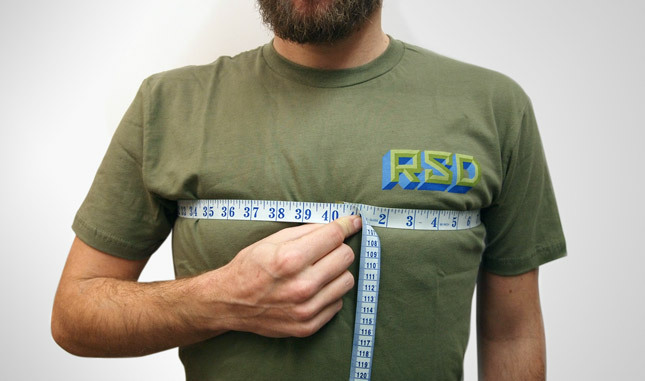 You were right, in that it is slim fit, so good for me. I guess anyone with a big tummy may strauggle or need to size up. It's been rained on, covered in mud and grit and it just washes clean and is starting to look a bit more vintage as it's a little shiney to start with. All in all - very happy thank you guys. Love my new Belstaff Classic Tourist Trophy. It's become like an old friend very quickly. Top notch quality and thanks for the super quick delivery and communication.